It's hard to believe it's only been a year since Barack Obama handed over the White House keys to Donald Trump, but the former POTUS remains a hugely influential public figure, and to close out the year, he unveiled his list of favourite songs from 2017. 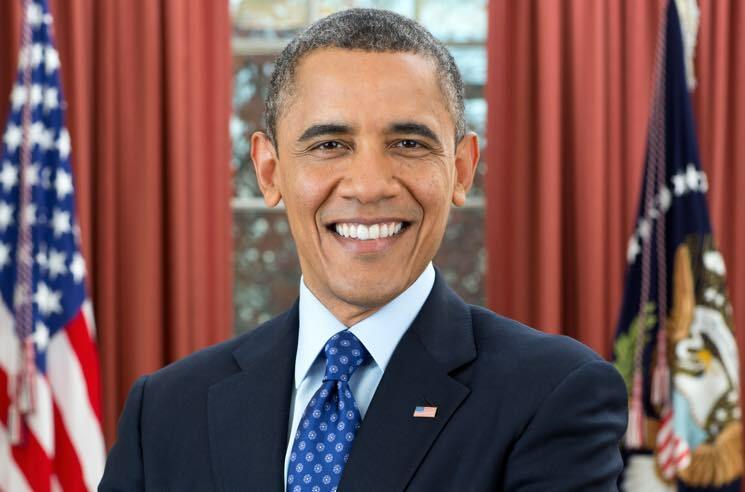 Obama's list included some of the year's biggest hits like Camila Cabello and Young Thug's "Havana," DJ Khaled's Rihanna and Bryson Tiller-featuring "Wild Thoughts" and "Feel It Still" by Portugal. the Man. He also showed his appreciation for hip-hop heavyweights like Kendrick Lamar, JAY-Z, French Montana, and Travis Scott, as well as Chance the Rapper's recent track "First World Problems" featuring Toronto's own Daniel Caesar. Caesar also got his own shout-out thanks to "Blessed." Soul legends like Sharon Jones & the Dap-Kings and Mavis Staples were also toasted, as was up-and-comer SZA for "Broken Clocks." Obama also praised rockers like the National and U2, country-folk stars like Brandi Carlile and Chris Stapleton, and former One Direction boy Harry Styles. Check out the former U.S. president's complete list of favourite songs (as well as books) from 2017 down below.